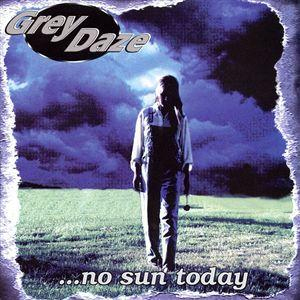 Officially having gathered a large amount of support in their local area after the release of their 1994 debut; Grey Daze followed up "Wake Me" with their sophomore effort "...No Sun Today" in 1997 which would ultimately prove to their last record together as a band. In 1998, the band (fueled by frustration over a lack of a record deal, as well as personal/musical differences) parted ways and went on to different projects. Chester would go on to join the band Hybrid Theory in 1999 which would later become the Grammy award winning, multi-platinum rock group Linkin Park. Sean Dowdell would go on to form the band Waterface in 1999 (who have since disbanded), before leaving music and focusing on his career as a tattoo artist, running the highly successful Club Tattoo chain alongside his former band mate Chester Bennington. Mace Beyers would continue to play in various bands, and Bobby Bennish continued to play throughout the rest of his life, staying dedicated to his passion for music. Diagnosed with brain cancer in 2003, Benish sadly passed away a few months later, and while a reunion show as well as a studio remaster of "...No Sun Today" were planned to raise money for his recovery, these projects never saw the light of day. There are no indications that the remaster will ever surface, and for now all that remains of the project are m4a files that were obtained exclusively by LPAssociation from Sean Dowdell; but later removed due to issues surrounding the physical release of the remaster, which today shows no signs of ever being released to the public.